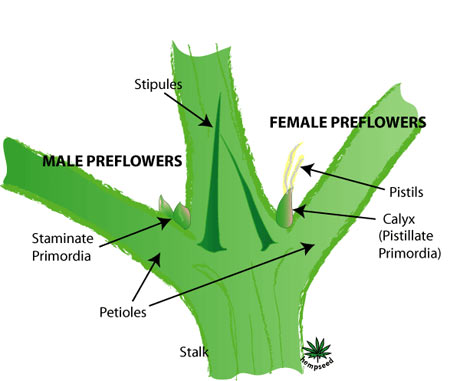 There is nothing on that plant showing female. This is a full blown male. I have a combined 17 years working with the 2 strains that made Grass Monkey. I have bred with both in both directions and have never had any signs of inner sexing. You have photographed an underdeveloped stipules. 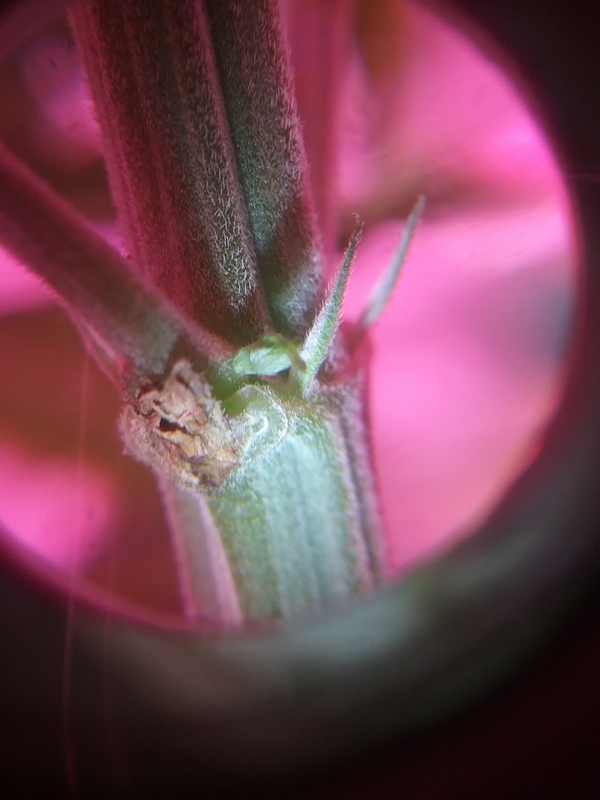 There is no calyx present, nor are there 2 pistils present, and it's not even at the correct place on the branch. Perhaps it's "transgender" and "identifies" as a female. @toastyjakes Perhaps that should be something you discuss with @LED_Seedz via PM, I think you misunderstood his intentions. He's trying to help spread the correct knowledge, and he's usually very direct about it. this is how mistaken identity happens. 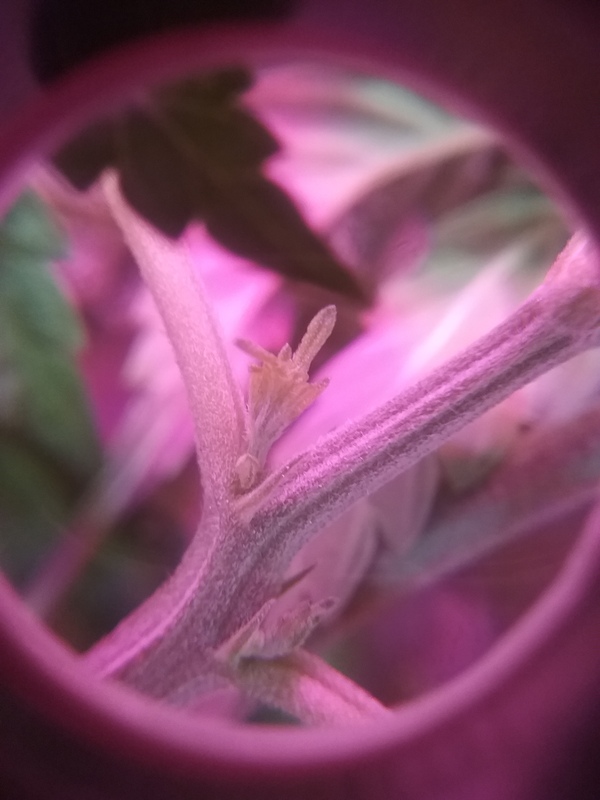 The first preflowers to show are usually twisted & mutant, they don't tell you much. They might appear somewhat female or male shaped but it's random. Once the freaks start appearing you have to wait for another node or two up to get a reliable indicator. 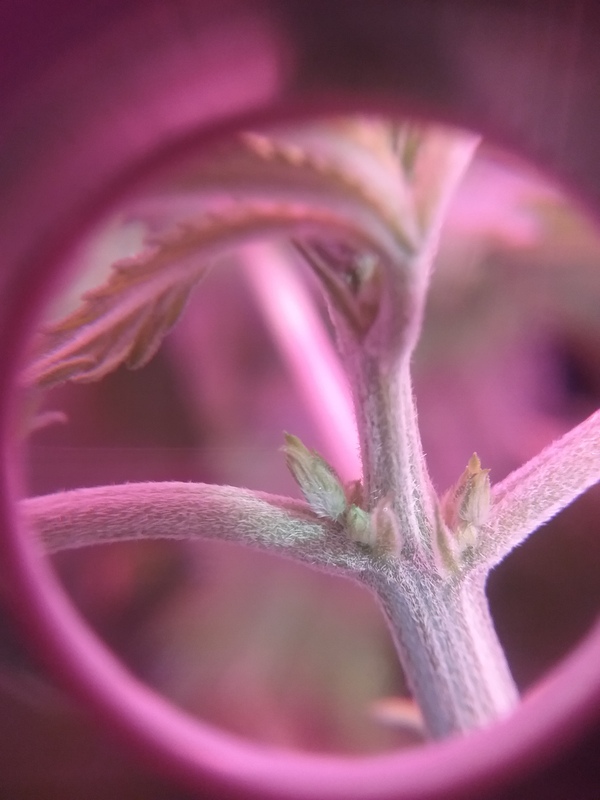 Once preflowers come out at the higher nodes I don't pay attention to the lower ones anymore. 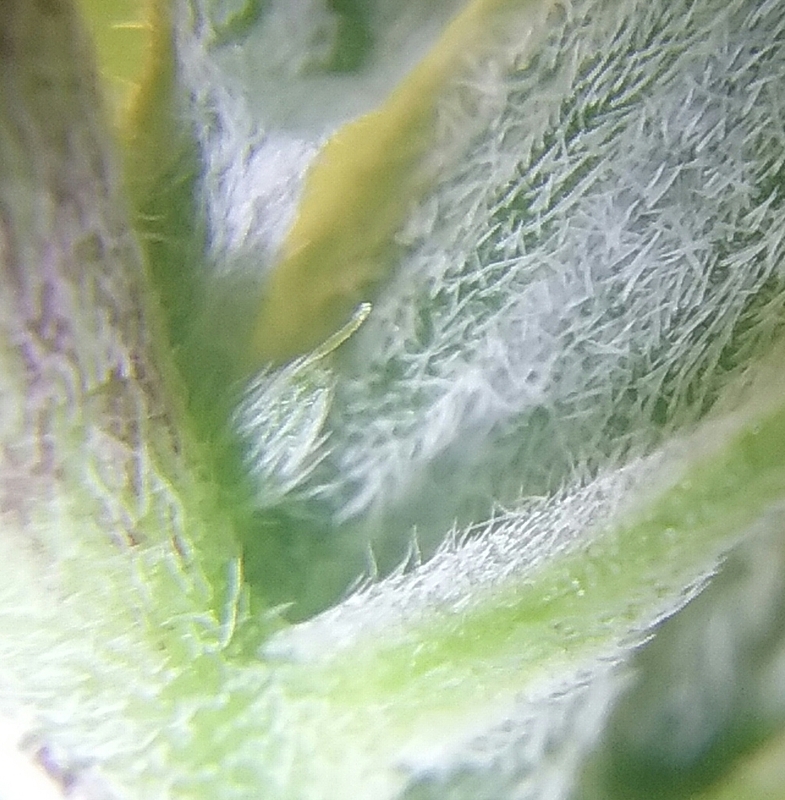 You can never confirm female 100% until you see actual pistils. The whole purpose of the test is to see how it does in real world situations, and show off to the rest of the site the results. Big or small, all the grows matter. I am fortunate that i'm able to throw money at my problems usually, but it's carefully done... I eat ramen too ya know. I am not sure what was said that needed to be edited out but I can assure you nothig in this thread is heated. This was a case of mistake identity. 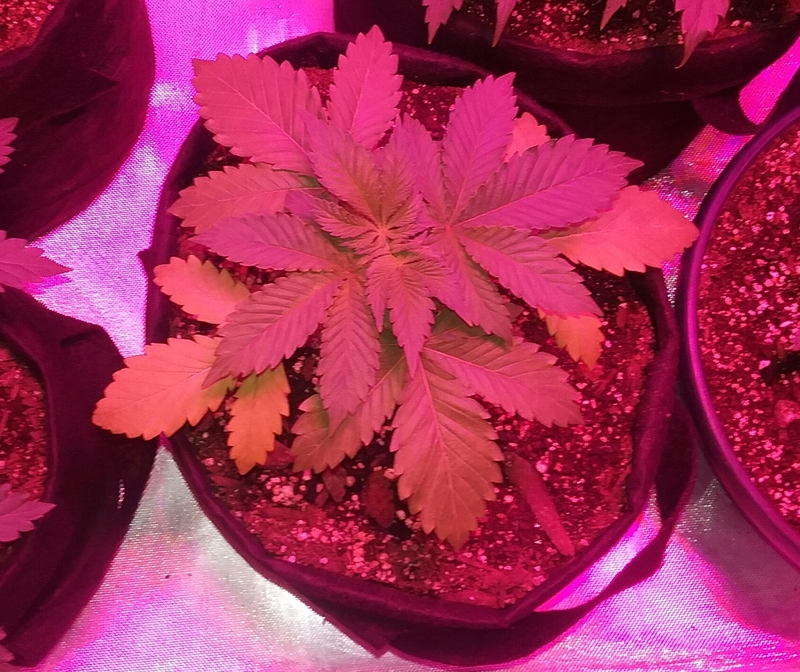 It's the third time on this site someone has made this mistake, [on one of my strains] and If I do not call it out and it goes un noticed other will NOT learn these lessons. Text is very hard to see any emotion in it, but when I get heated I can assure you people know. My whole outburst needed removed.. I shouldn't have brought it to the thread.. if I had a problem with how I felt you were explaining it I should have pm'd you.. emotion is hard to ascertain from text yes. Nobody was born with this knowledge, we all learned through others and trial and error. I look forward to seeing you share this with younger growers as you mature. But still there is hope.. who remembers my sickly little monkey? It got left in veg when the rest went to flower last week. Number 3 is the only one I can say for sure is male. Nothing else is for sure at this point. I hope everyone reads it. Nothing more powerful than education. Now I am really confused as that is what mine look like in the photos I got with my zoom camera micro for the computer. Now I have to worry about all my Hurkles. I need to go back and reread as I must have missed post/not understood after surgery from pain/drugs. Can someone point me to the article. I read thru twice and missed it. Like I said on drugs which I have stopped, going back to MMJ for pain, major nightmares from Norco. These are where my are now. After getting advise from someone I highly respect here I can flip these now or transplant to 5 gal for bigger plants and hopefully more buds. 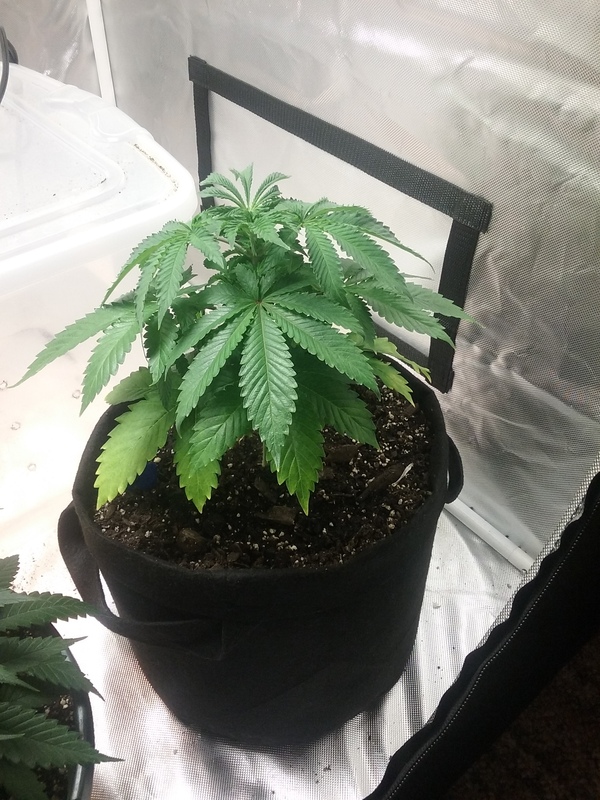 I would like to transplant to 5 gal if @LED_Seedz would like me to flip now for the test and keep the finish somewhat close (I hope), I will flip into flower tent in the am. I have 2 doing it! This is your grow little lady. You do with them as you like. That said, I can pull 1/2LB plants in 2 gallon pots all day long indoors and feel like it is overkill indoors to go any larger. They look super healthy so just do like you do. I think your monkeys look the best out of all ours! Give your mentor a hug and pat yourself on the back because you are killing it!